A beautiful alternative to the classic PJ set. In a soft cotton silk with a delicate white stripe subtly contrasting against the stone. 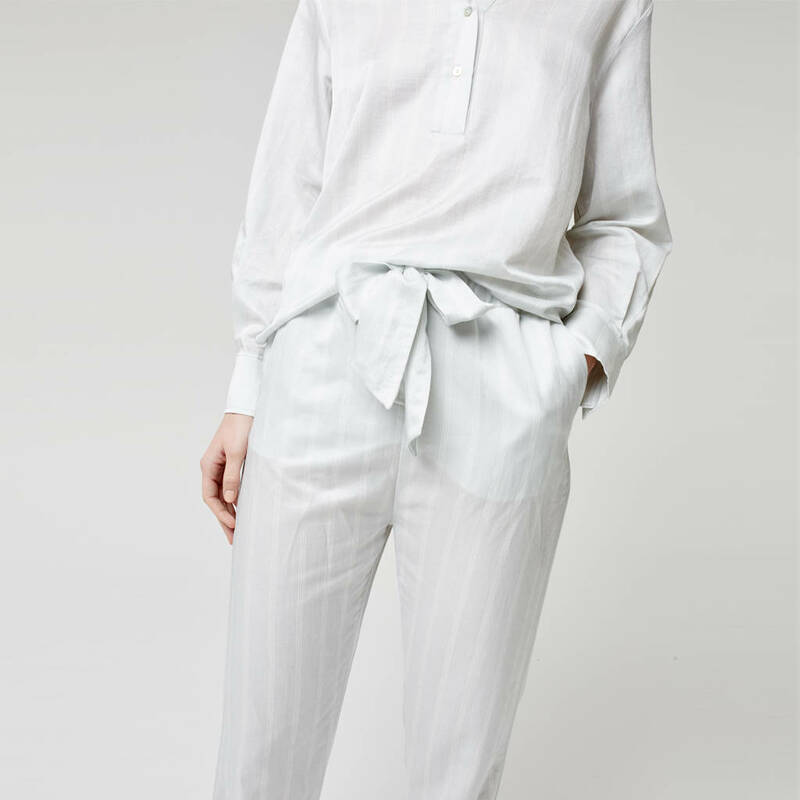 The mandarin collar and deep cuffs make this style a modern version of the classic pyjama top. The pant are cut with a Capri narrow leg, high in the waist with an extravagantly feminine bow. A beautiful and sophisticated pant.